Intended for use in transit monitoring of articles stored in packaging incorporating dry ice cooling. Available in single trip (SRIL-8) and multiple trip (TRIL-8) versions. 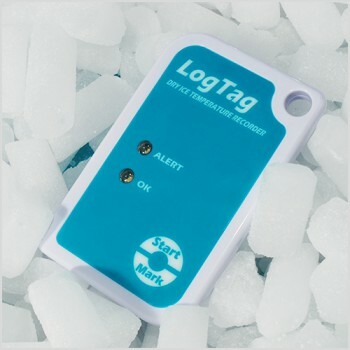 Using the LogTag® Interface Cradle and the freely available companion software LogTag® Analyzer, these are easily set-up for recording conditions including delayed start, sampling interval, number of readings, continuous or fixed number of readings and configuration of conditions to activate the 'ALERT' indicator. Battery Life Storage life of up to 12 months before ‘start’. Rated for a typical trip of 2 weeks duration at dry ice temperatures. Get access to our free software which you can use with the SRIL-8 (Single use) device.